At Glasshouse we experience day by day just how much people’s hair means to them. Young or old, male or female, a transformative treatment or look can leave you with a new found confidence and a spring in your step. The connection with our hair is often more than just aesthetic however. For many people, their hair is linked to their cultural heritage, their religion or another aspect of their identity. It’s this concept that we want to embrace and explore in our Journal series; Hair Story. 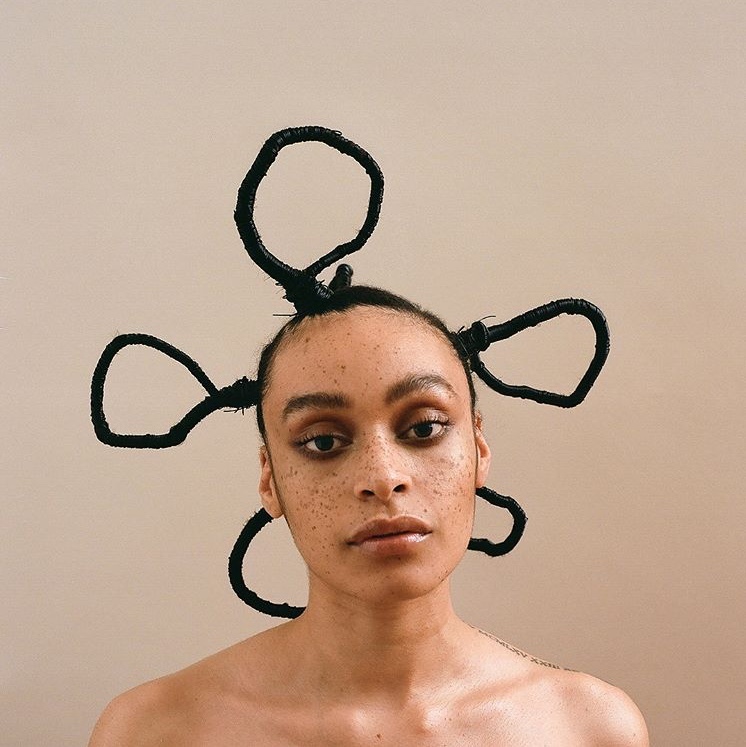 Speaking to women of different backgrounds and cultures, we want to know exactly what their hair means to them and the stories that surround it, celebrating both diversity and style. 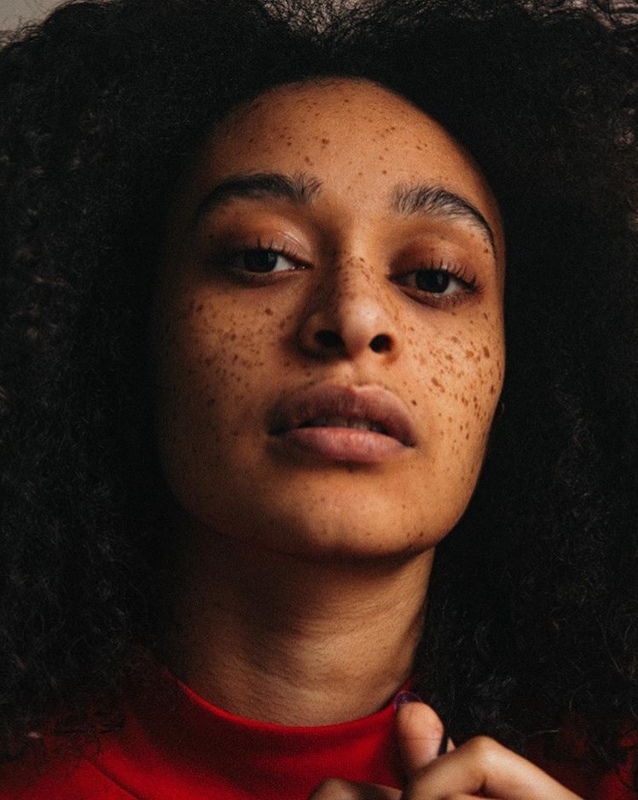 Having discovered model and all-round creative Ayesha McMahon on Instagram recently, we immediately wanted to get her involved in the series. 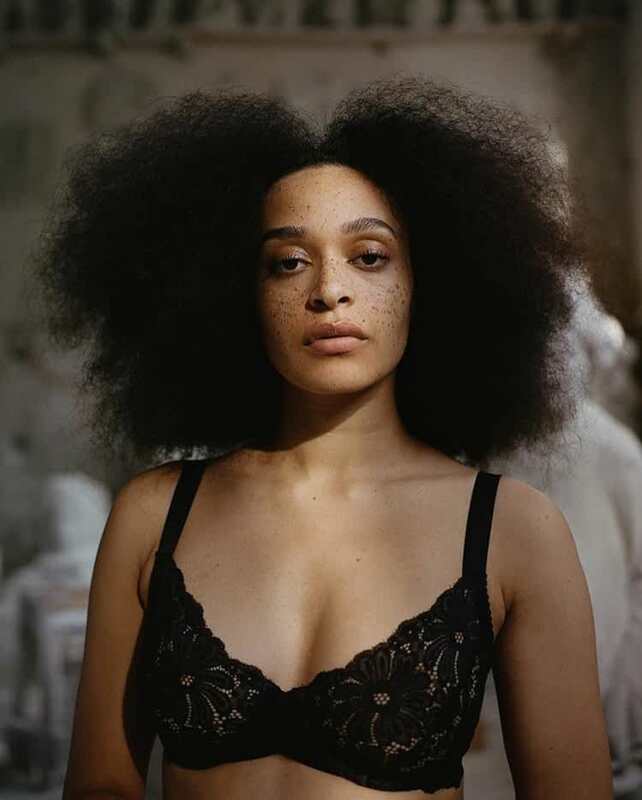 You may have seen her freckle-adorned face in and around London’s billboards this month, as the face of the recent World Afro Day campaign, shining a light on the way black women are made to feel about their natural hair in society today. 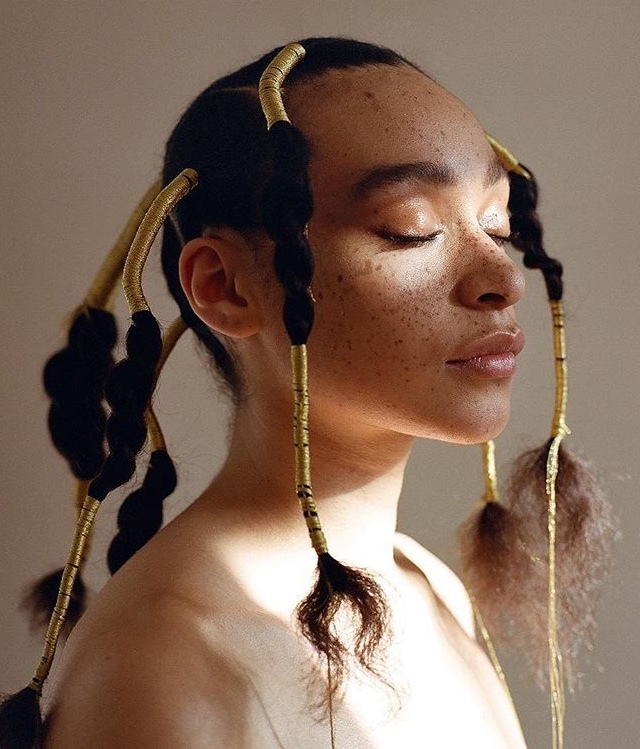 Take a scroll through her growing Instagram platform and you’ll find endless beauty inspiration from Ayesha’s various shoots, with her hair styled in everything from Bantu knots to dreads. Her bold and contemporary style paired with her glowing skin certainly makes her one to watch. We sat down with the up and coming model to chat about her hair and her thoughts on black hair in the industry. Childhood feels like a lifetime ago! A particular memory that’s stayed with me is having my hair washed and detangled weekly by my mum. Every week my hair would be washed, conditioned and then I would sit on the floor, in between my mum’s legs as she would comb through my hair. It really takes love to look after someone else’s hair. I’ve actually had a mixed experience - pressure from others as well as pressure I put on myself. In school there’s often comments about curly hair. You’re made to feel messy and ugly because it isn’t ‘smooth’ and ‘tamed’ like the other girls’ hair. The pressure I applied on myself was while job searching or on special occasions. I would make my hair straight to make sure I would get the job or to feel beautiful on my birthday. Thankfully, I’ve outgrown the pressure I’ve placed on myself and from others on what I should do with my hair! I’ve grown to love that it’s mine. I’ve also learned how to understand my hair better and give the love it’s always needed. Simply put, at any stage it’s wonderful; clean, dirty, messy, smooth, tangled, pulled back or out and free. There’s beauty in all of it in every shape, form and crazy style I may wear that day. I’ve had to explore my hair a lot when it comes to styling and caring for it – some products that may have worked for someone else’s hair, may not work for mine and it’s about understanding what my hair loves and what it doesn’t. My hair is certainly a part of me, but by no means does it define me. It grows, but I tend to it, like you would anything that needs to be looked after. I define me in so many ways and I can express myself through my hair, but my hair is just another way to do that – it’s not wholly how I express myself. For me, the perception that black hair is difficult to handle is so irritating. It’s really easy. Its versatility alone amazes me every single day. It’s unfortunate that I have to face these kinds of questions so often, as I want these negative perceptions to be a thing of the past. Being different and coming across people with hair you’re unfamiliar with should be celebrated and if you wish to ask anything ensure it comes from a positive place. Words can be so hurtful and although you may be asking something so small of someone, it can affect the other person in ways you won’t know. Even the comments I hear now about my hair can be so rude. Whenever I’ve been in spaces where a hair stylist is unfamiliar with my hair my heart sinks. It’s the assumption that my hair can’t do anything. It does everything! I feel disappointed because I know they’ll be scared and unsure of what they’re doing. I understand that they haven’t been trained but surely Afro hair education should be as prominent as European hair styling, no? It’s not great feeling like the outsider and left to do your own hair on a shoot while someone with typical European hair will be taken care of. Despite the unfamiliarity, I have the upmost respect for hairdressers and hair stylists who still try. It’s the willingness to want to do something amazing even though this is something you may have never done before. I change my hair so often it so often it’s hard to choose! The classic fro will always be my fave, but I do love wearing it in crotchet faux locs or other elaborate braided styles as they show more of my actual face (the fro can often take the limelight). You can follow Ayesha on Instagram here. 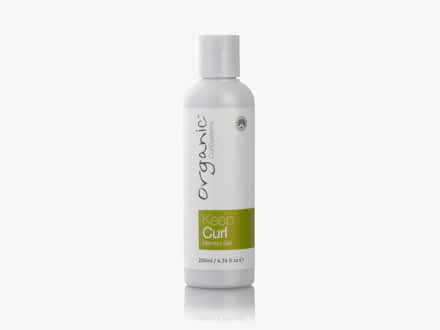 Dynamic shape and extra bounce for natural curls. Made with vegan and organic ingredients. A moisturising mixed berry-scented leave-in conditioner that gives shine and softness and is suitable for all hair types.